Cape Town – Hailey Baldwin isn’t the only one to be sporting some new bling after Justin Bieber proposed. According to People magazine, the model gifted her fiancé with his own diamond encrusted ring after he popped the question. 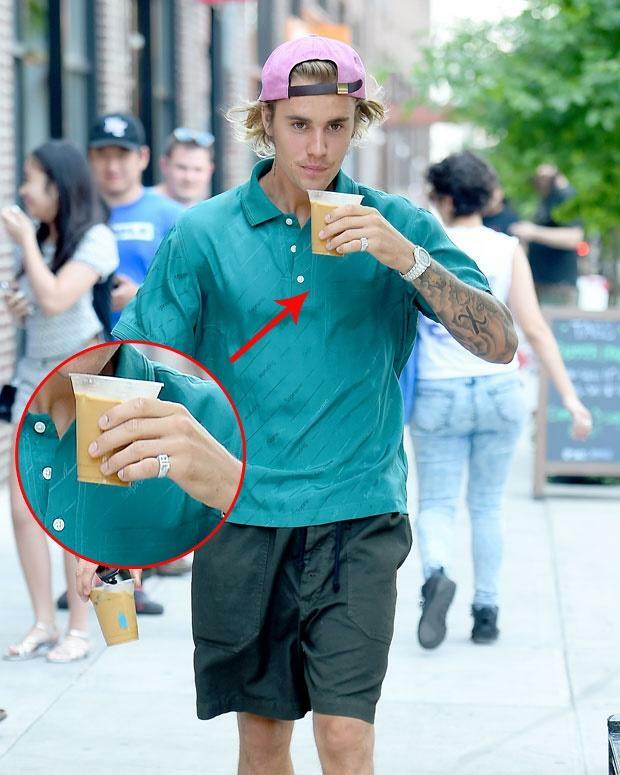 The Biebs was seen wearing his ring – which has his initials on it - during an outing in Brooklyn, New York on Friday. Following their return from their vacation in the Bahamas, Hailey and Justin paid a visit to Pristine Jewellers in NYC and purchased Justin’s personalised ring as well as another ring for Hailey, The Blast reports. Hailey’s second ring is reportedly personalised with the word ‘Baby’, a possible nod to Justin’s 2010 hit song with the same name. Meanwhile, Justin’s jeweller - Jack Solow of Solow & Co. Inc. Diamond Jewellers – revealed how the Love Yourself hitmaker decided on the $500k ring for his fiancée. “Justin had a big hand in it. He had certain design elements that he wanted and he had certain expectations and I think we delivered,” Jack told E! News. He added that the diamond was the most important part saying that Justin even commented that he saw Hailey’s face in the jewel.